Jade plants are tough, easy-to-grow succulents. 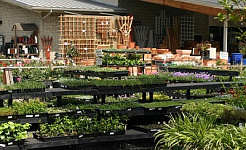 They grow well in containers and like the warm, dry conditions found in most homes. Height/Spread Jade plants can live for a very long time and grow into small trees or shrubs up to 5 feet tall indoors. Ornamental Features Succulent, fleshy leaves are round or oval, dark green, blue-gray or edged in red depending on species and cultivar. 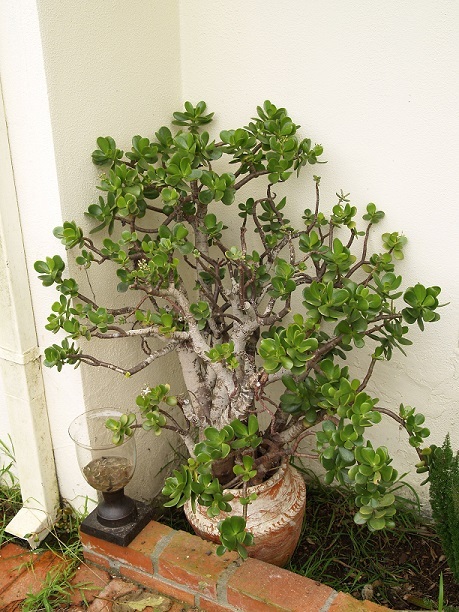 The thick trunklike stems and branches of jade plants are usually brown. 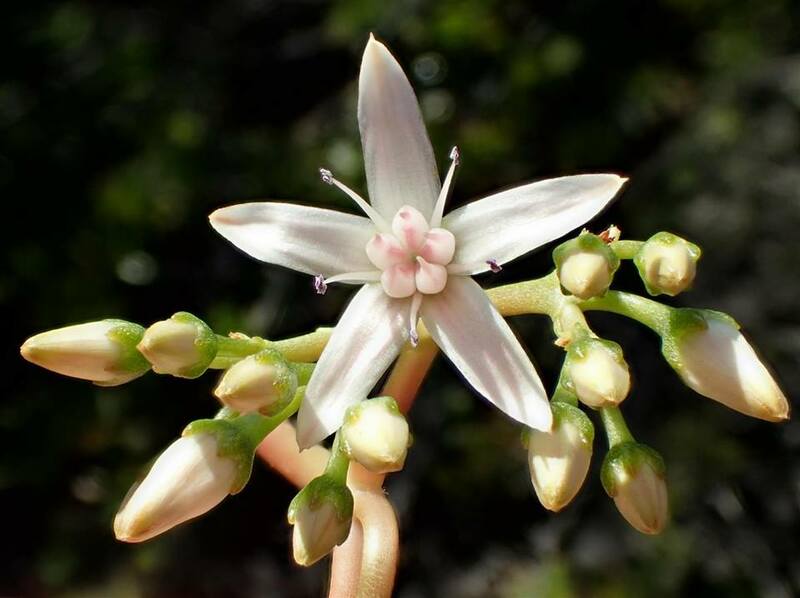 Clusters of star-shaped white or pink flowers will appear on mature plants in the winter. Jades look very much like miniature trees and often have an appealing bonsai quality. Problems In the home, plant diseases are very rarely a problem. Too much or too little water plus insects and mites are the main problems. Root rot usually results from a soil mix that does not drain quickly or overly frequent watering. Leaf drop can happen if the plant is allowed to become extremely dry. 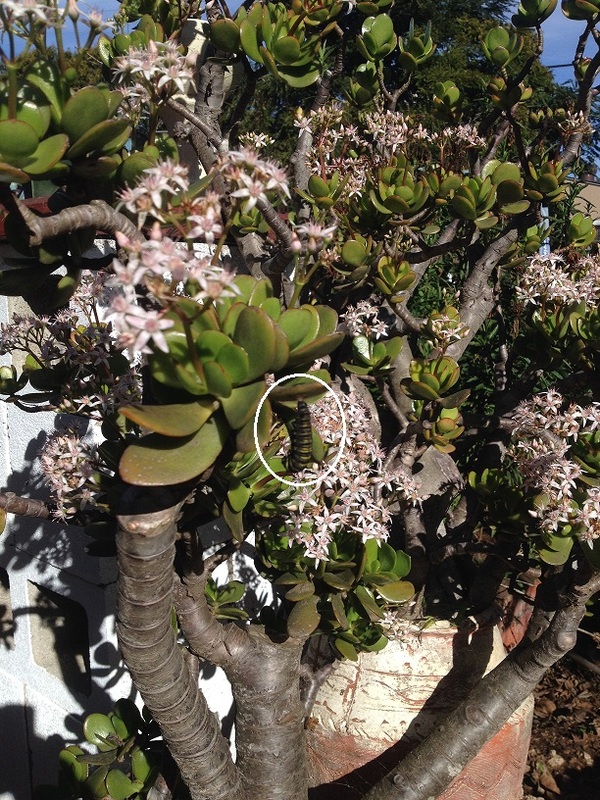 Mealybugs are the most common insect pest of jade plants. They look like white puffs of cotton. Wipe them off with alcohol using a cotton swab. 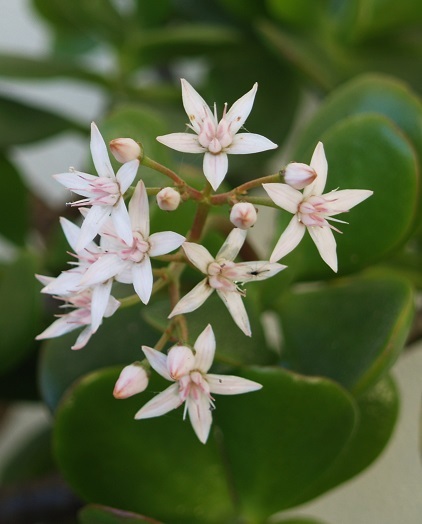 Do not use insecticidal soap, since it may damage jade plants. Spider mites can cause plants to lose their green color and appear dusty or speckled. Culture Like many succulent plants, jades prefer the full sun or bright filtered light of a south-facing window. Jade plants do best where they get four or more hours a day of direct sunlight. 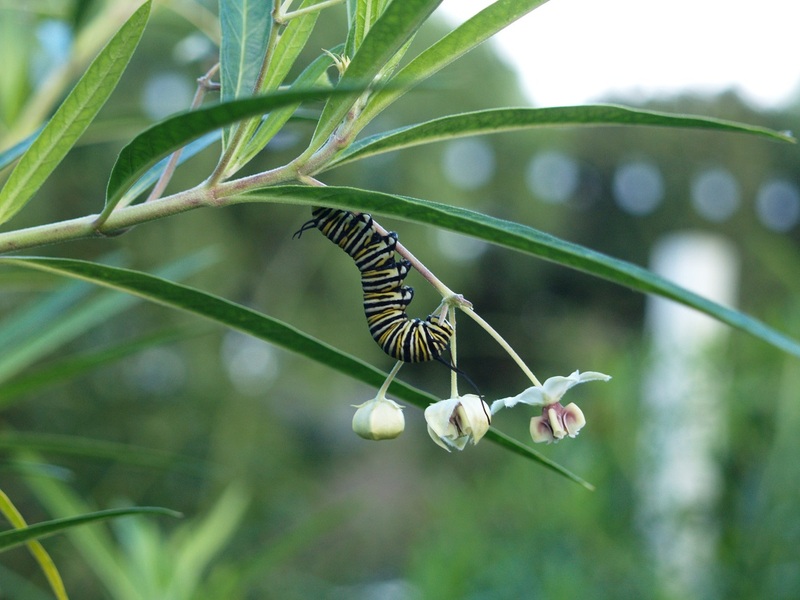 Plants grown in sun can withstand higher temperatures than those grown in poor light. Jade plants do best with daytime temperatures between 65 and 75 Â°F, and nighttime temperatures between 50 and 55 Â° F. During the winter months, protect plants from drafts and do not let their foliage touch windowpanes. Soil should be kept moist but not wet while plants are actively growing in spring and summer. During the winter, let the soil dry between waterings. Although the succulent look of jade plants may cause you to believe that they need very little water, drought can cause dwarfing, foliage spotting, leaf drop and death. Avoid splashing water on the leaves while watering. Jades need a very well-drained soil mix to prevent root rot. A cactus mix with some added organic matter will do. You can also make a mix of one part sterilized organic soil, one part sphagnum peat moss and three parts coarse sand by volume. Fertilize jade plants once every three to four months. A liquid houseplant fertilizer will work well. Wait four months before feeding repotted plants. Jade plants can live quite happily for years while root-bound. If repotting is necessary, do it as new growth starts. When your plant becomes older and top-heavy, move it to a large, heavy pot to prevent tipping over. Allow the soil to become dry after repotting. You can start new plants from stem cuttings.